▶ WHAT IF I HAVE A QUESTION NOT ANSWERED HERE? ▶ WHAT ARE THE IMPROVEMENTS TO THE CAMANO COFFEE MILL? 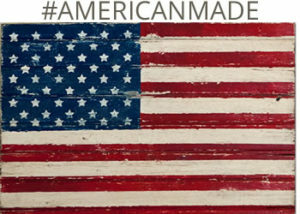 We have spent the last 3 years working on having our own mechanism for the Camano Coffee Mill manufactured here in the USA. In that time we also took the opportunity to make quite a few improvements including, but not limited to: IMPROVED CONSTRUCTION: Fits tighter, less parts; MORE GRIND SETTINGS: from Turkish to French Press and everything in between, we've got your grind; RISER IS CAST IRON & ADDED INNER RISER: More stability equals more consistency; ENHANCED AESTHETICS: Even more beautiful. Even more functional; FOOD GRADE FINISHES & CERAMIC BURR: Additional consistency and finer grind; HEAVIER LOCK BRACKET & UPDATED SPRING: Easier Adjustment. ▶ DOES THE CAMANO COFFEE MILL HAVE PLASTIC PARTS? The Camano Coffee Mill does not have any plastic parts, yay! ▶ DO YOU SHIP INTERNATIONALLY? ▶ HOW DO I CLEAN THE CAMANO COFFEE MILL? When you first receive your Mill you will want to run at least one hopper full of beans through to 'season' your mill. Even with regular use the Mill does not need cleaning, unless you are using flavored beans or other spices. In this case you can simply grind white rice with your mill til the rice grinds are snowy white. You can also purchase Urnex Grindz - made specifically to clean burr grinders. 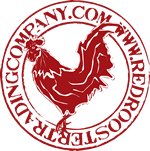 ▶ HOW MANY BEANS CAN THE CAMANO COFFEE MILL HOLD? The hopper or the top part of the manual coffee grinder where you put your coffee beans holds approximately 1/2 cup of coffee beans. 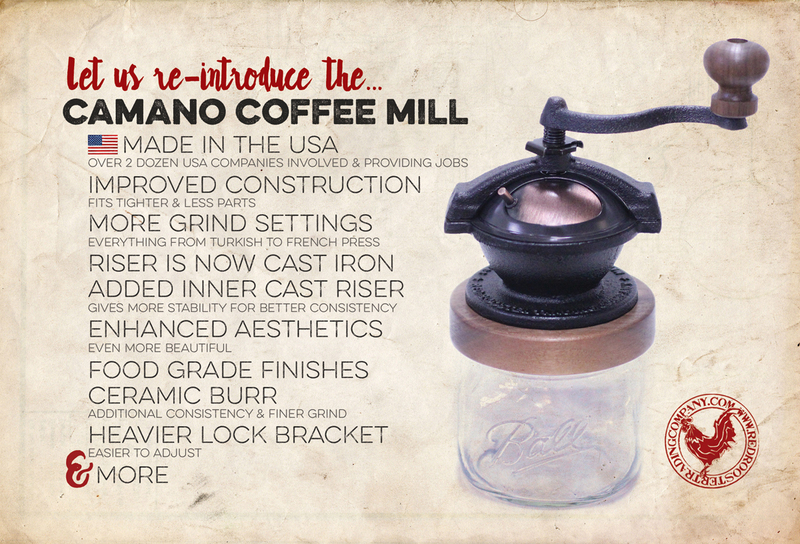 ▶ IS THE GLASS JAR INCLUDED WITH THE CAMANO COFFEE MILL? YES! The pint, wide-mouth jar is included with your Camano Coffee Mill. The grinder will fit on any wide mouth jar if you want to switch the included jar out with a different size jar. ▶ HOW DO I ADJUST THE GRIND ON MY CAMANO COFFEE MILL? Let's adjust the grind. Adjustment is located on the top of the grinder. It's pretty easy to adjust the grind, though you do need to use two hands. 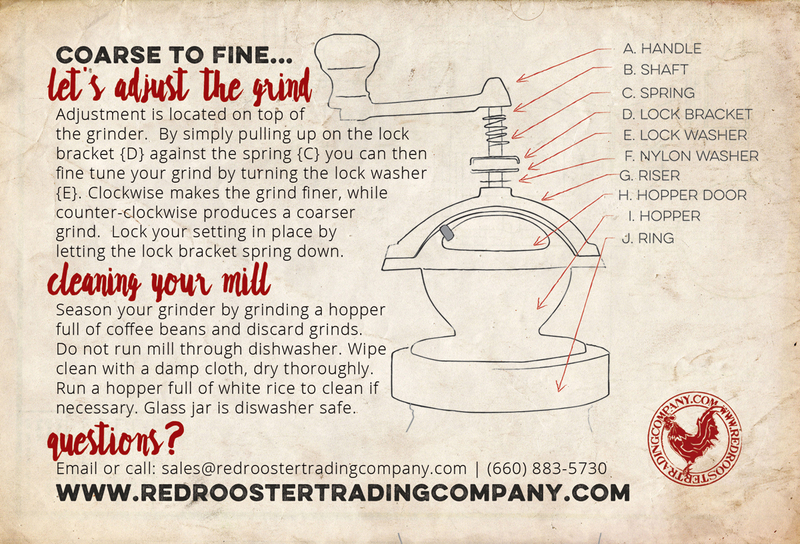 Just lift up on the lock bracket against the spring and turn the lock washer to the left (counter-clockwise) for a coarser grind or to the right (clockwise) for a finer grind. It may be a little tight to when you first get your grinder, but it will get easier with use. And it is important to have the lock bracket, as it locks the grind in place.